Has anyone heard of this case? A friend sent me a link to the above article about a Fredericksburg, Va, Man convicted of brandishing by carrying a BB gun outside to see what was going on in the parking lot next door to his home. 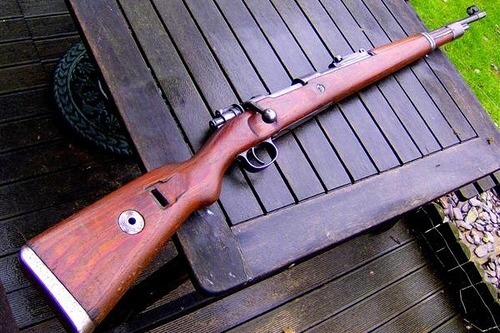 He never pointed it at anyone but held it by the barrel with the buttstock hanging by his leg. Not exactly the brightest idea. He was convicted of brandishing by instilling fear. Not guilty on 2 counts of misdemeanor assault . Guilty on 2 counts of brandishing with a 30-day sentence on each count. Not guilty on one count of fleeing the police. Not guilty on one count of swearing/public intoxication. His lawyer is looking to appeal the 2 brandishing convictions because of the vagueness of the Virginia brandishing law. I believe User has discussed the stupidity of the brandishing law here. The article was written by the lawyer representing Mr. Wolf and there is a link in the end of article for a GoFundMe page. They were looking initially to raise $1,500 to get the court transcripts. After obtaining the transcripts it looks like they are trying to raise an additional $10,000 of which almost $7,000 has been raised in 8 days. I'll be send a donation myself. There is, i believe another member who is suffering judicial anguish over this subject right now ! Sad to see this stuff is happening in my State. What behavior prompted the count of swearing/public intoxication? The lawyer does not say in his piece. Yep, cursing in public is still a crime in Virginia. A bill to decriminalize it failed this week. Using curse words of 4 letters or more in Virginia's public spaces will remain a misdemeanor offense, after a bill in the General Assembly was shot down Wednesday. Yes. But what behavior prompted the charge? Was he drunk? Was he letting loose a profanity-laced tirade? What did he do? I just feel like I am missing some context, context that the lawyer feels would hurt his fund-raising efforts. I’d really like to know that context before I come to a conclusion. nothing, he was on his owned land......leaning on the property divided fence. Standing in his own yard, he shouted across the fence, "What are you doing there? That is private property." The woman then shouted, "He's got a gun!" The man and the woman then calmly walked away, never answering his question. They were "flaggers" assisting a road construction project, but nobody had ever informed Mr. Wolff before. His question was never answered. He went back into his townhouse, thought the incident was over, and went back to his morning meal. That does not answer the question. One last time, and then I won’t care a whit one way or the other: What behavior prompted the charge of swearing/public intoxication? § 18.2-388. Profane swearing and intoxication in public; penalty; transportation of public inebriates to detoxification center. If any person profanely curses or swears or is intoxicated in public, whether such intoxication results from alcohol, narcotic drug or other intoxicant or drug of whatever nature, he shall be deemed guilty of a Class 4 misdemeanor. Black's law dictionary: "Deem." To hold; consider; adjudge; believe; condemn; determine; treat as if; construe. So, you have to go to court to prove your innocence? It doesn't really matter. He was found not guilty on the charge. according to court records are also three other charges that he was found not guilty on. It was probably the cops just piling on charges. 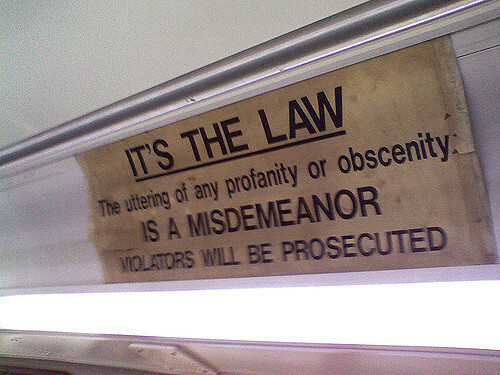 Although states do have laws against the use of profanity, the courts have not always sided with those laws in some cases. Under modern First Amendment jurisprudence profanity cannot categorically be banned but can be regulated when it applies to categories such as fighting words or true threats. What he actually did may provide context for the other charges of which he was convicted. To me, it would be perfectly reasonable for a person to be afraid of a man with a gun in his hand if he is intoxicated and/or letting loose a profanity-laced tirade. No matter. I don’t care anymore. I don’t waste my time on cases where I can’t learn the context. Now that this prior hiatus eye95 we all knew and tolerated ~ great to see you are resorting back to your old behaviors eye95...keep up the good job! doesn't matter, what context his behavior was.....He was on his OWNED LAND when he did whatever context you mentioned. meh. moved on. don’t care. They pile on the charges like that as an act of extortion: they do that to try to force the defendant to accept a plea bargain by intimidation and threats of unjustified punishment. They also increase the cost of litigation because the defendant's attorney has to work on all the charges, even if they're bogus. Virginia's "brandishing" statute under Constitutional Attack in Fed. Ct. Dump QI and cops/prosecutors would be less inclined to pile on. geez. quit being such a whiney baby! Attorney Jonathan Mosely is working on a case coming out of Fredericksburg in which exactly these issues have arisen. I've volunteered to help him out with legal research and writing (as I'm now retired from practice and no longer authorized to take any direct assistance), but he's taking the argument to new levels and needs assistance. I urge everyone to support this effort. NEWS PROVIDED BY Attorney Jonathon Moseley April 11, 2019 WOODBRIDGE, Va., April 11, 2019 /Christian Newswire/ -- A new lawsuit says some of Virginia's gun-related laws are unconstitutional. The federal complaint is being filed April 11, 2019 in the the Eastern District of Virginia. A military..."
That should dispel ANY DOUBTS that linger. For the stubborn among us, I challenge you to follow the link and READ the post provided above by User to the appropriate sub-forum here on OCDO.